Rich treatment cream for the body, ideal for all types of skin. Its formula has been specifically conceived to help reduce and prevent signs of ageing and loss of elasticity in the skin. 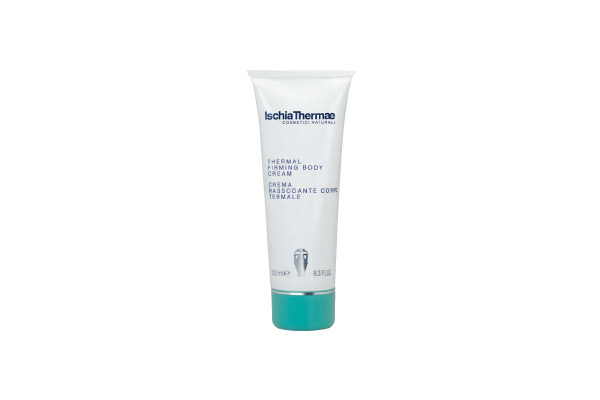 Thermal Firming Body Cream acts by efficiently improving elasticity and suppleness of the epidermal tissues. It carries out a toning, revitalizing and smoothing action for body skin, particularly in the areas prone to change and where stretch marks often appear, i.e. : hips, thighs, buttocks, abdomen and the under arms. After the bath or shower, spread the cream all over the body and massage in until totally absorbed, Especially recommended for use after pregnancy. When used in conjunction with products to combat cellulite, apply Thermal Firming Body Cream every night and the products for treating cellulite every morning.